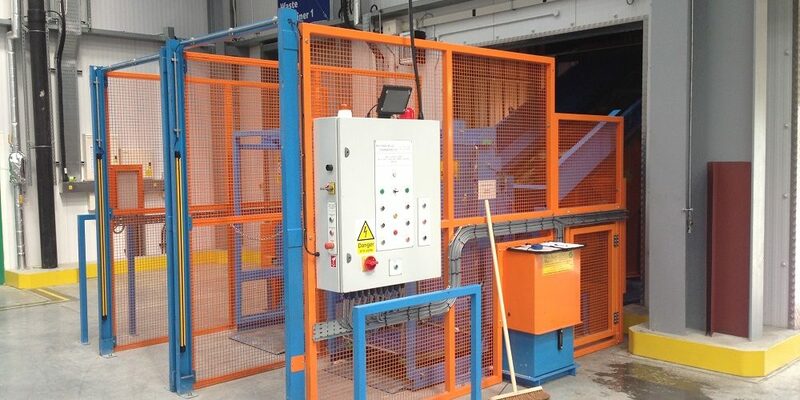 Cost Savings: £1.2 Million savings in first year, post installation. What they asked us: How can we empty backhauled food waste from roll cages into bulk lorries? 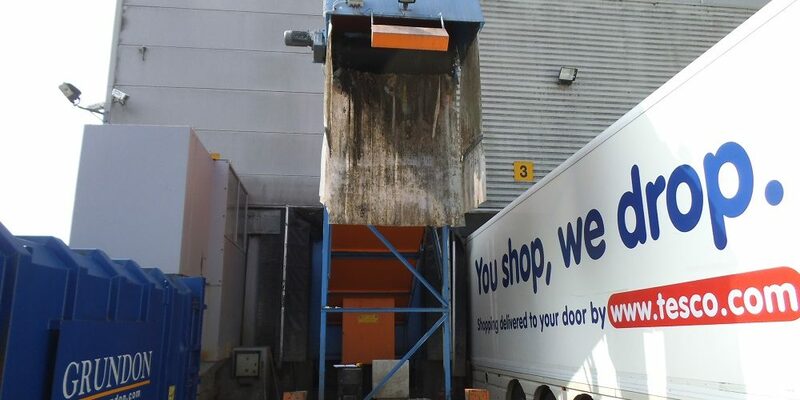 Tesco’s drive to divert food waste away from landfill required Whitham Mills to design and build an innovative hydraulic tipping and conveying system. The solution, devised by Whitham Mills, needed to empty roll cages directly into bulk carriers so the food waste could then be transported to an anaerobic digestion plant for energy recovery. Previous to this Tesco’s dealt with their food waste on a local level with polluting and power hungry compactors at each store and manual loading with operators and shovels. Costing £1.2 million, with installations across the 10 Tesco distribution sites, the project for Tesco plc, with assistance from DS Smith and XPO Logistics required us to not only design the tipping system but also to prototype and trial whilst also successfully proving that our roll cage tipping system will save several million pounds and also being a DEFRA approved project. 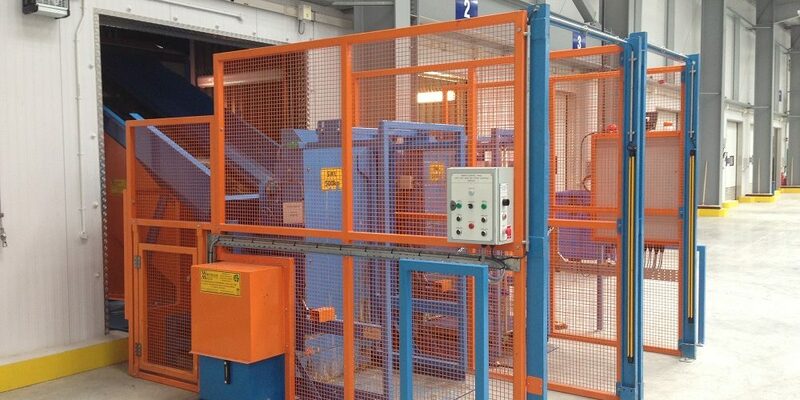 The outcome being that the emptying process required half the number of operators and has reduced ‘empty’ time from 360 seconds per cage to just 48 seconds by automating the whole process. 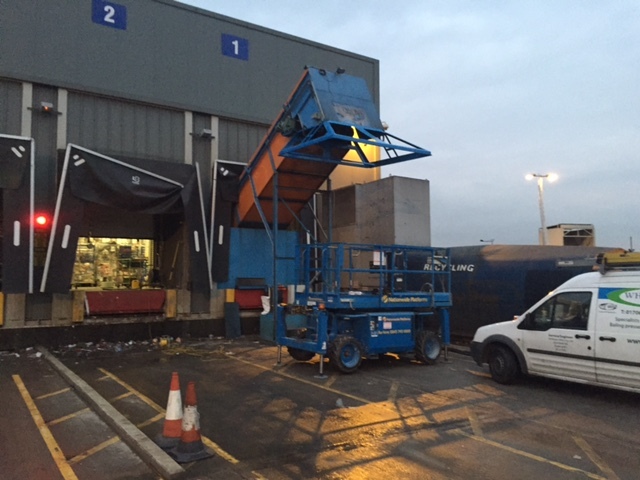 Our unique hydraulic Roll Cage Tipper has now been patented, tested and installed in 10 Tesco distribution centres around the UK along with 1500mm wide chain conveyors.